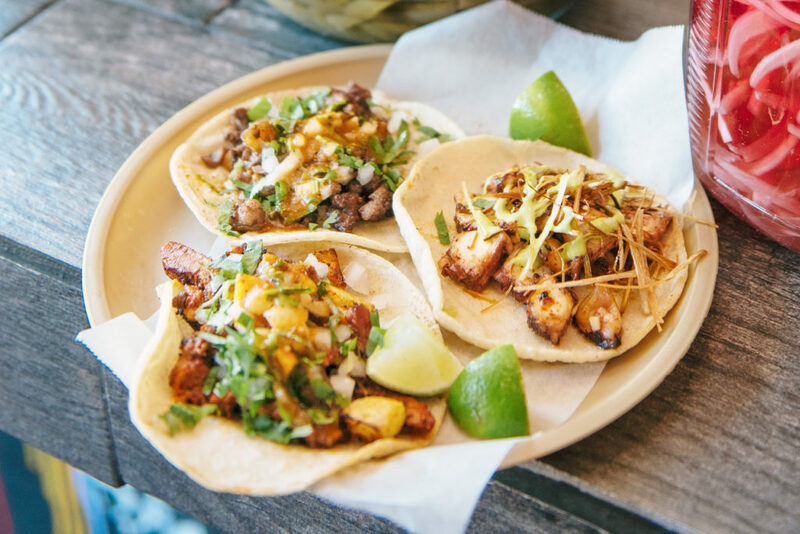 Fresh masa tortillas, golden disks pressed to order in front of you, are the ideal foundation for the small but stellar taco lineup at this new Deep Ellum taqueria. Octopus is tender as butter under a cross-hatching of frizzled leeks, and the $7 duck breast taco is worth happily making the investment. 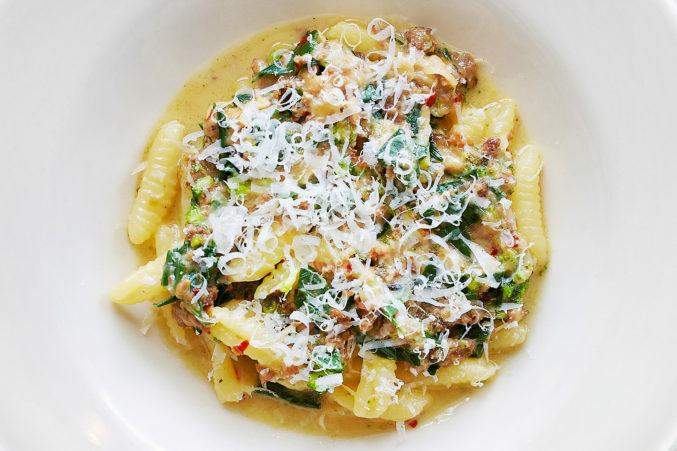 We’re still charmed by the quiet pleasures of Lucia, where David Uygur’s lovingly turned pastas and house-made salumi are complemented by his wife Jennifer’s welcome and deft wine pairings. It remains our true north for a romantic Italian dinner, from cloudlike ricotta gnudi to marzipan semifreddo. And a new online system has made reservations even easier. If you want a fine wine, you want one that has been stored properly. La Cave keeps a warehouse of worldly wines priced from as low as $10 all the way up to $4,500 a bottle, all kept at cellar temperature under proper conditions. They hold the oldest collective vintage collection in the Southwest. They’ll even store your purchase. is open late, and the margaritas are strong. We love a wood-fired, blister-crusted, soft and chewy pie as much as anyone. But the oval-shaped, cracker-thin creations at Sprezza make a case for Roman-style pizza al taglio. Seasonal variations keep you on your toes, and we’ve seen what happens when the smoked caciocavallo drifts by with a tangle of caramelized onions. It is almost impossible to beat the sheer Willy Wonka revelry of Royal Sweets’ display: chum chums rolled in coconut, fudgy cashew barfi, soft rasmalai cheese balls in milk. The busy panoply of Indian treats will make your head spin—and your dentist despair. Teiichi Sakurai has long established his Tei-An as a soba house worth traveling far for. The soba is (of course) superb, and white seaweed salad, a quartet of uni, and the most delicate egg custard (chawanmushi) with crab and shiitake mushrooms leave taste memories that linger long after you leave behind the hidden spot’s tranquility. This Dallas branch of the boutique Austin grocery chain has become a neighborhood staple on the strength of its hot sandwich counter and coffee bar. But with a quality selection of prepared entrées and sides, 44 Farms steaks, Cake Bar by the slice, and a thoughtful wine and beer selection, it’s also the perfect place to pick up provisions for a gourmet picnic or portable date night. Under the glitter of chandeliers, give in to the pedigree of carcass-hung Angus-Charolais beef. Even the meatballs at this dreamscape of prime meat are laced with dry-aged Wagyu, and the primo sides are awash with lobster. As the sun slips behind the Arboretum, across the street, the patio here beckons with gas lamps, a cedar pergola over a walkway, and cushioned furniture arrayed under oak trees and around two fire pits. There’s space at the perimeter for the kiddos to roam. 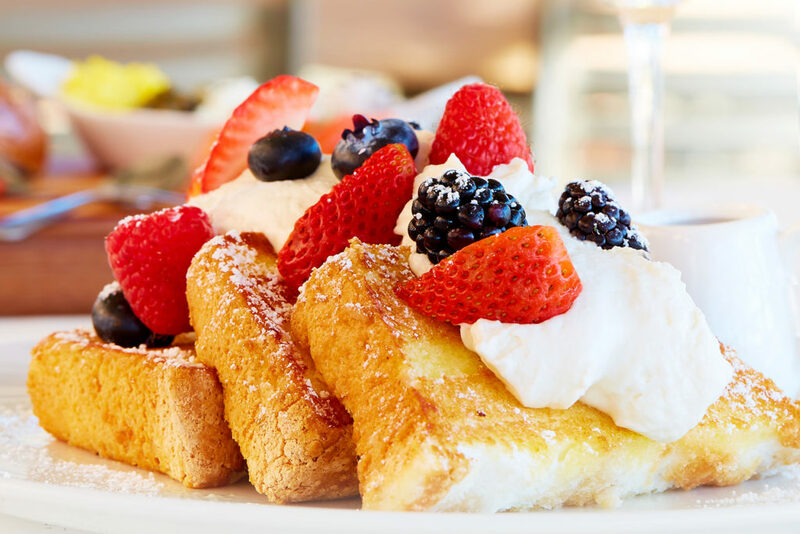 A French-trained fine dining chef (Tom Fleming) devotes himself to fluffy pancakes; pepper, chorizo, and goat cheese frittatas; and sticky buns so good they have their own club. We love a spot that closes at 2 pm and devotes more of its open hours to breakfast than to lunch. Vive the bacon quiche! 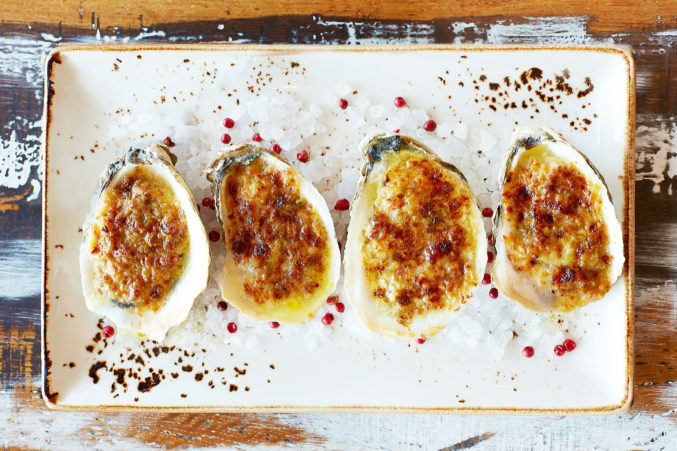 Our favorite seafood restaurants were inconsistent as ocean swells this year. 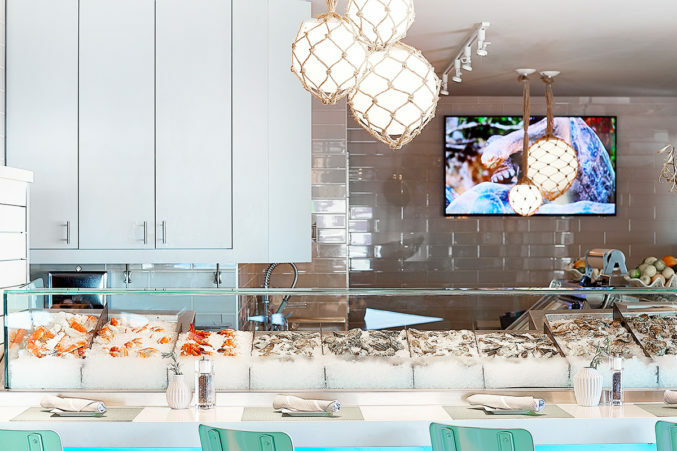 But Lynae Fearing and Tracy Rathbun’s new spot swam onto the scene with breathtakingly fresh fish and an appealingly eclectic approach. We have nominated the crab cakes Benedict for canonization. There is no better place for kids to be kids and parents to completely check out than at CiboDivino. Watch on a Friday night as children dart in all directions all at once on the manicured lawn. You’ll find their parents nearby at picnic tables, finally able to pay more attention to their wine. We were fans when this family ranch offered only monthly home delivery. Its new storefront is so much more convenient, with refrigerated cases full of fresh and frozen beef, lamb, chicken, pork, and sausage, plus house-made chicken and beef stock, farm-fresh eggs, and Full Quiver Farms cheeses. Go midmorning on Tuesdays and Fridays, when shipments arrive. The chicken looks like it’s glowing. That orange hue comes from the salt and paprika it’s spiked with after emerging from the fryer. A 24-hour brine with bright japones chiles and cayenne pepper gets balanced out by honey and cloves. Be sure to hit it with a lime and a sprig of cilantro. It’s unlike any other bird in town. 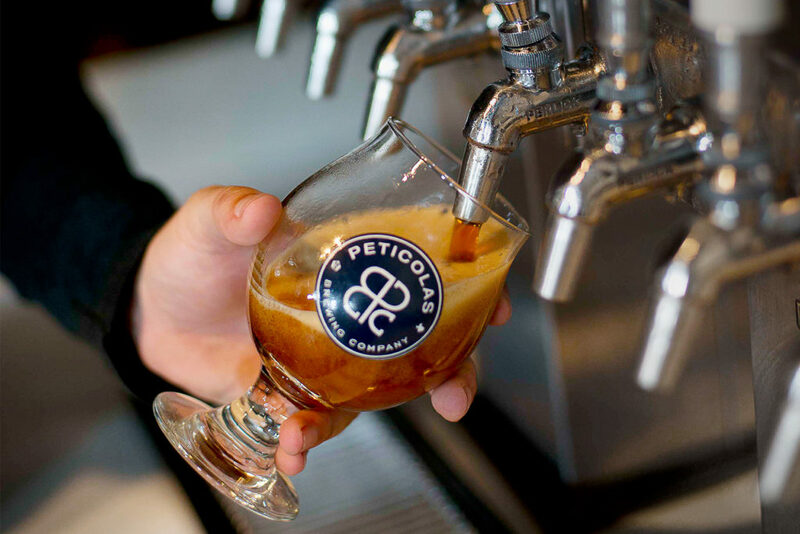 Never mind that Michael Peticolas is the tip of a spear aimed at dumb, restrictive state laws that hamper small breweries. His beers—Too Soon, Velvet Hammer, Golden Opportunity—are Dallas classics. And now that he has a new taproom in the Design District, he has our liver and heart. Tyson Cole’s Austin import consistently turns out some of the freshest and most innovative Japanese-inspired dishes in town. While reservations are recommended, and necessary on most nights, you can surpass the hoopla by getting there for nightly happy hour. Sample daily specials and take advantage of the servers’ wealth of knowledge. Despite its over-the-top appearance, at its core this flashy black-and-gold drink is simply a well-crafted and finely balanced margarita. Código 1530 tequila blends with lime juice, agave, Cointreau Noir, gold flakes, and gold kosher salt, and is garnished with house-made rock candy. The drink gets its color from charred agave and blackberry liqueur. 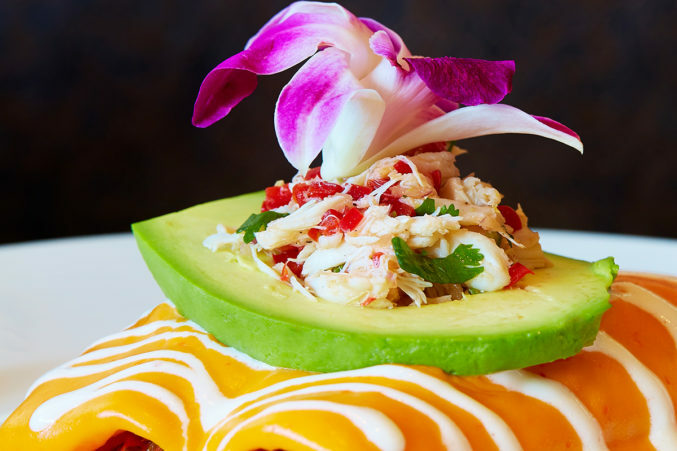 Since 2011, chefs Olga and Raul Reyes have brought an elevated take on the cuisine of Raul’s native Veracruz to a humble strip of Jefferson Boulevard. That means: fresh red snapper on a bed of olives; enchiladas filled with generous hunks of lobster; and bright citrus lighting up a dish of cochinita pibil. Pastry chef Ricardo Sanchez crowned Stephan Pyles’ Arts District gem with a feather-light cassis mousse over a cinnamon-infused brown butter shortbread biscuit with berry-glazed jicama and a quenelle of hibiscus sorbet. One bite and it’s clear you’re dealing with a master of textures who arranges smart marriages between French technique and Mexican flavors. The all-current-buzzword food here is clean, healthy, and delicious. Organic greens taste as if they were just picked. Soups, wraps, vegetables, and comforting bowls of quinoa and black pearl rice provide plenty of choices for vegans and vegetarians. Carnivores are treated to natural, sustainable, and grass-fed proteins. Affable chef Joanne Bondy devotes her days to making artisanal bone broths, salt-free and vegan stocks, and a supply of hearty soups. Call ahead to see if she’s got her signature chili or beef shanks on hand. If not, comfort yourself with a pint or quart of carrot ginger soup. It heals everything. Larissa Wilson’s cookies, cakes, cupcakes, and other baked treats allow those who suffer from celiac disease or gluten intolerance to have a sweet tooth. Recently she opened her first brick-and-mortar spot, in Mesquite, and expanded her list of goodies. 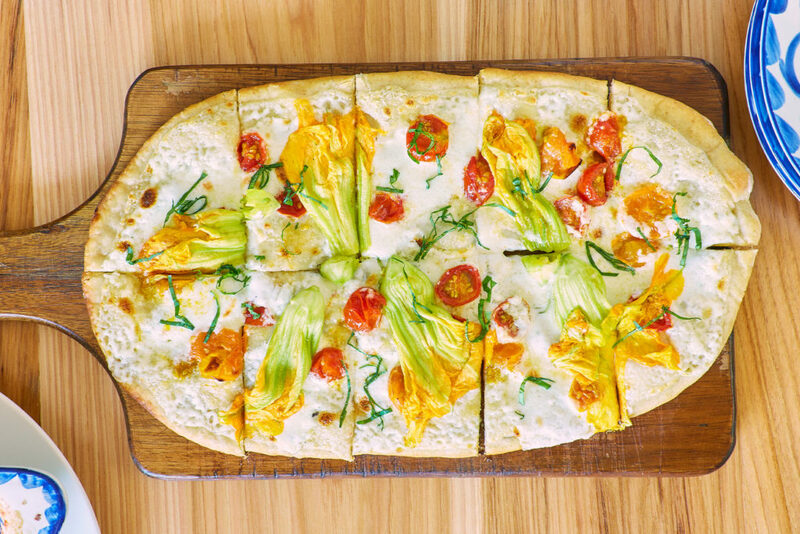 The gourmet pizza at this airy and spacious restaurant is a must. But the menu doesn’t stop there. 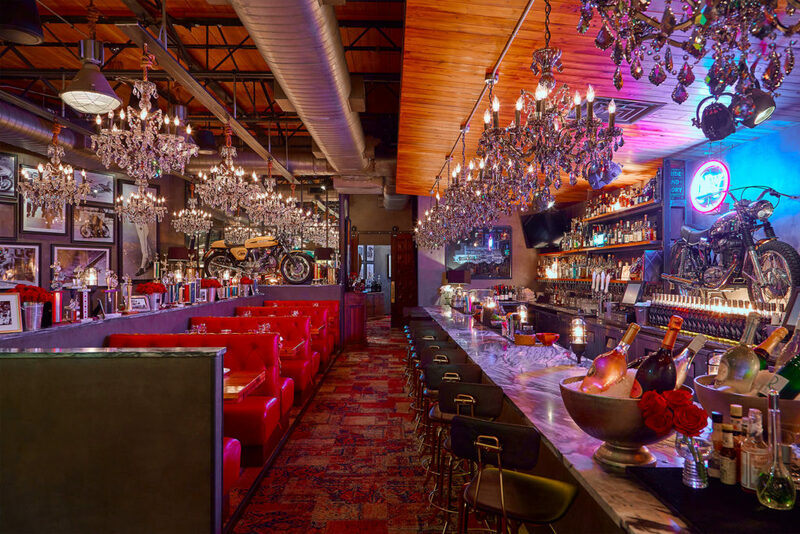 Sit at one of the packed communal tables and dig into pineapple upside-down pancakes and avocado eggs Benedict. Wash it down with a grapefruit mimosa, house-made michelada, or glass of wine (there are more than 100 to choose from). First and third Saturdays are devoted to free, casual, hourlong cupping and brewing workshops led by resident coffee education enthusiasts Kyle Simmons and Kevin Sprague. A regular schedule and laid-back welcome make this a perfect mini coffee academy. It’s not just the 150 artisanal cheeses that keep us coming back. We’re also big on the charcuterie, gourmet sandwiches, wine selection, craft beer, and top-notch customer service at this Oak Lawn institution. Those looking to expand their knowledge can partake in one of the many monthly cheese classes. With a menu that is overwhelming and encyclopedic, the kitchen interprets hard-to-find South Indian dishes with vibrancy. And only here does the weekend lunch buffet include made-to-order lacy rice pancakes called appam, served with a glass of coconut milk. On a Sunday, cruise the stands behind the ornate temple grounds for green papaya salad pounded via great thwacks in a pestle, meat grilled on skewers, soulful curries, and a vast array of dishes that will make you rethink ever limiting your repertoire to pad Thai. Chris and Michael Wyatt have nurtured a neighborhood hub in the Cedars. The offerings, rounded out by a thick Valrhona sipping chocolate, are otherwise minimal—pour-over, latte, espresso—but expertly pulled. Get advice on brewing your single-origin Laotian beans, and admire the ceramic mugs made by a neighbor. Really good ice cream might contain as much as 16 percent butterfat. That’s partly what makes it smooth and creamy. LHC takes it to 19 percent and does everything in-house, even pasteurization. It is the only shop in town we know of that does this. Check the Facebook page for rotating exotic flavors. Many do more. That’s fine. Pecan Lodge does it best. Its lean and fatty brisket are superb. The ax-size smoked beef rib covered in crunchy, peppery bark makes us weep. 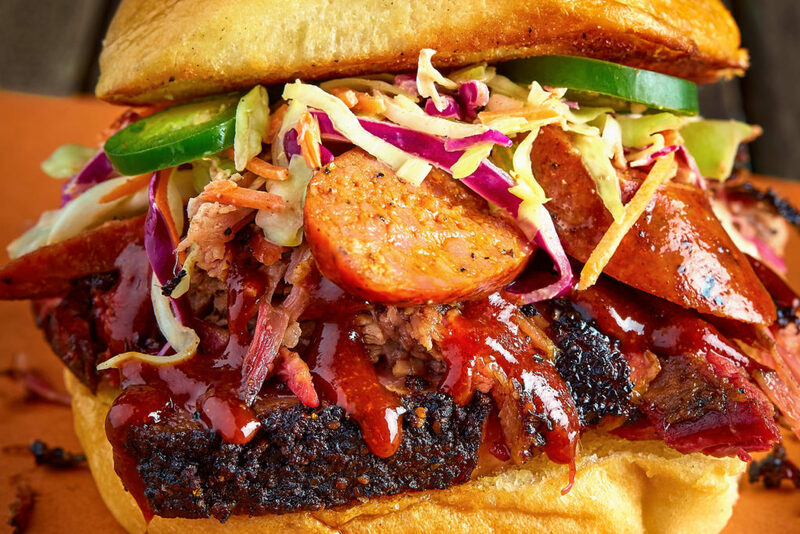 And the Pitmaster sandwich—layered with brisket, pulled pork, sausage, and coleslaw—is above reproach. 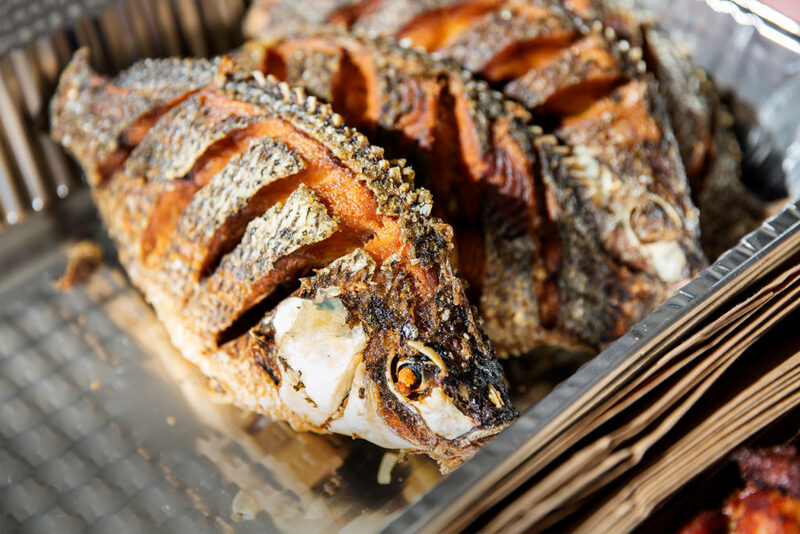 Sit shoulder to shoulder at communal tables with friends and strangers at this intimate East Dallas restaurant, and let chef-owner Peja Krstic charm with plates of spice-laden curries, perfectly executed whole fish, and cotton-soft garlic noodles. The latter are a neighborhood favorite. 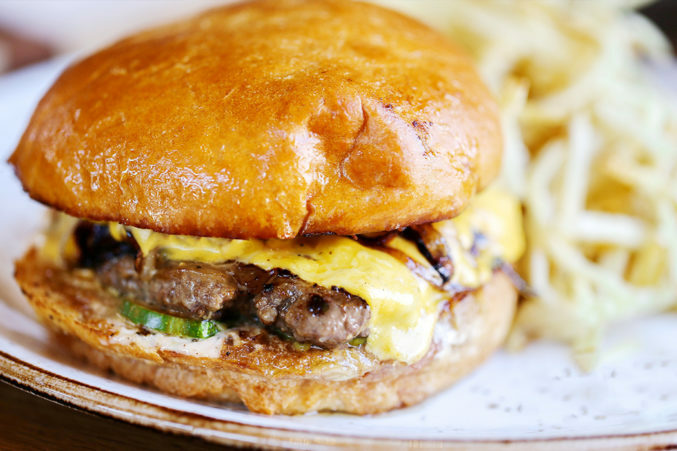 We love this burger so much that we’re willing to make the 40-mile trek up to Denton for it. Nothing compares to the two 4-ounce Angus beef patties cooked with caramelized onions and topped with American cheese, house-made Thousand Island dressing, and tangy pickles. All of that is crammed between a toasted brioche bun. The rule at this event held each Saturday in the church’s parking lot: the “edibles only” products must come from within 150 miles. Much comes from a lot closer. You’ll find 35-plus vendors at this hyper-local scene filled with produce. Since its 2012 opening in Snider Plaza, the gourmet sandwich shop has spread across North Texas, landing in Southlake and Plano. The burgeoning local chain was quickly noticed for its authentic lobster roll. But the fried chicken and Jack sandwich, embellished with cured bacon and avocado mash, might be the real star. Making hand-cut fries for the masses is tricky. Nick Ouimet, owner of this small, three-restaurant chain, is dedicated to perfecting his method. 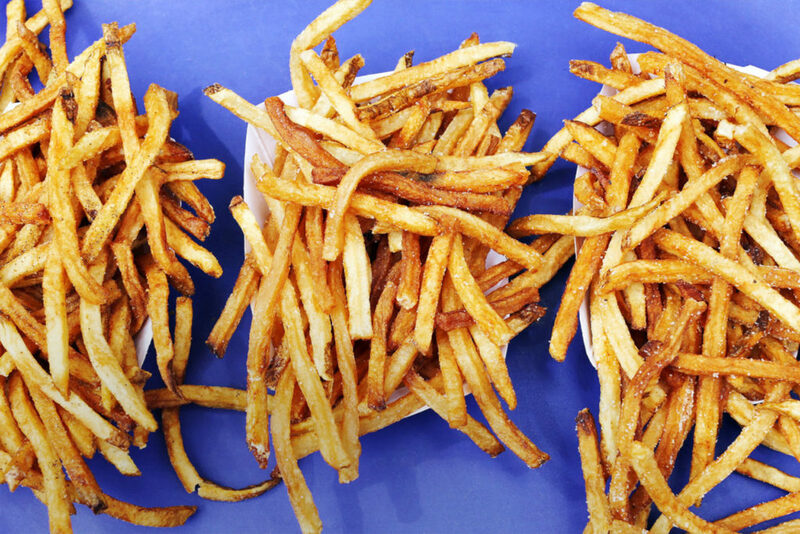 His skinny fries are hand-tossed in your choice of spices: rosemary, black pepper, and a sugar-sea salt blend. When late-night munchies require more than a drive-through, head to the casual but sophisticated digs of Gemma. The kitchen is open until 1 am, and the new menu features Korean short ribs, green curry chicken, and chicken wings slathered in makhani sauce. Village Baking Co., where shelves hold crusty loaves and the air smells tangy from levain, has all the charms of a French bakery. Besides flaky kouign amann and custard-y canelés, Meyer lemon-rosemary loaves and pointy-tipped baguettes make us dream of a Laguiole pocket­knife and a fresh slab of pâté. This dignified Chinatown spot has a fine handle on Cantonese cuisine, with sumptuous Peking duck, some of the best dim sum in town, and dishes like baby bok choy with sliced abalone or a clay pot full of roast duck and soft taro, bubbling in a mesmerizing sauce of coconut milk and ginger.